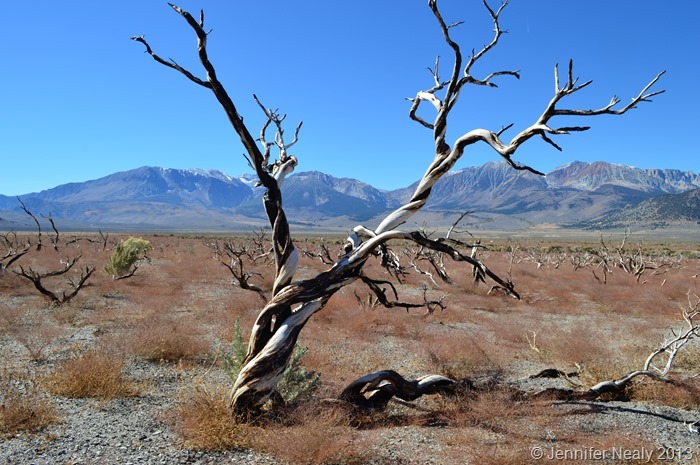 Our next destination was to drive down Highway 395 on the eastern side of the Sierra Nevadas. 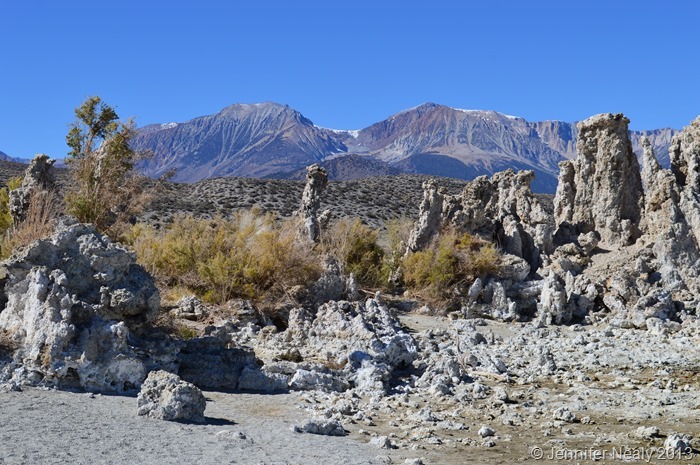 Our friends Paul and Nina had spoken very highly of the eastern Sierras, and we were really excited to check it out. 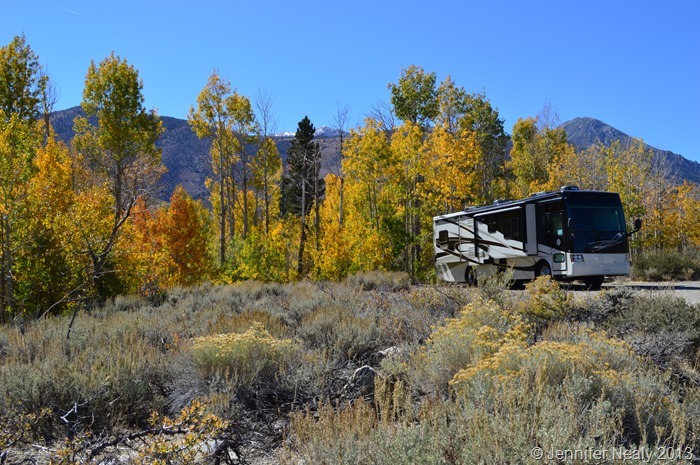 There’s a lot of boondocking in this area, and we picked the area near Mono Lake as our first stop. We found a great spot off of Lundy Lake Road, very close to Mono Lake. 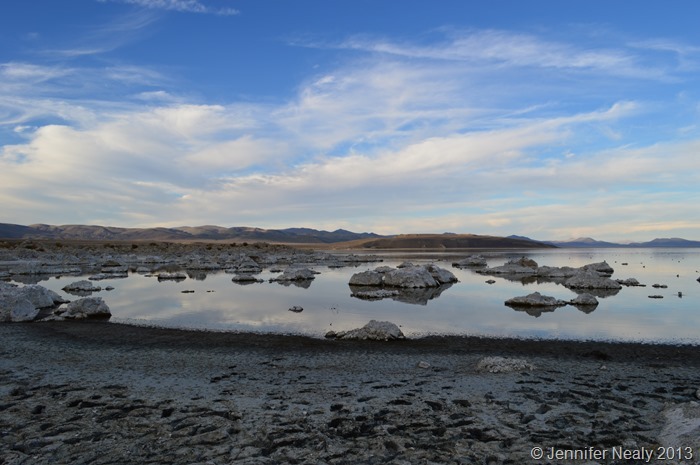 Mono Lake is a large, shallow lake that has no outlets to the ocean. Because it has no outlets, high levels of salt accumulate and make the water alkaline. 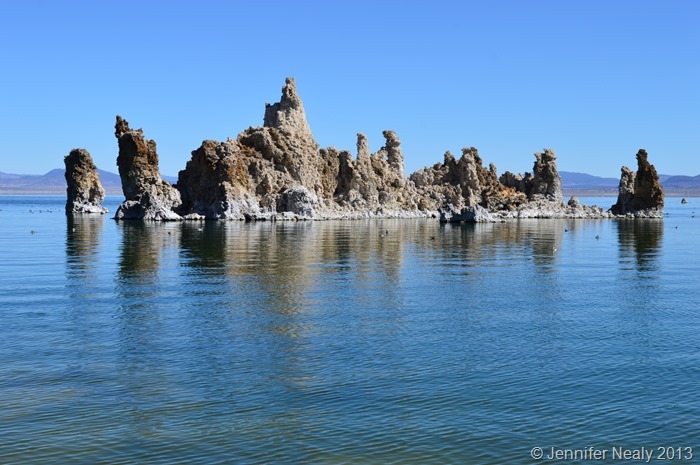 The lake is famous for its tufa, which is essentially limestone that formed underwater due to the composition of the lake. 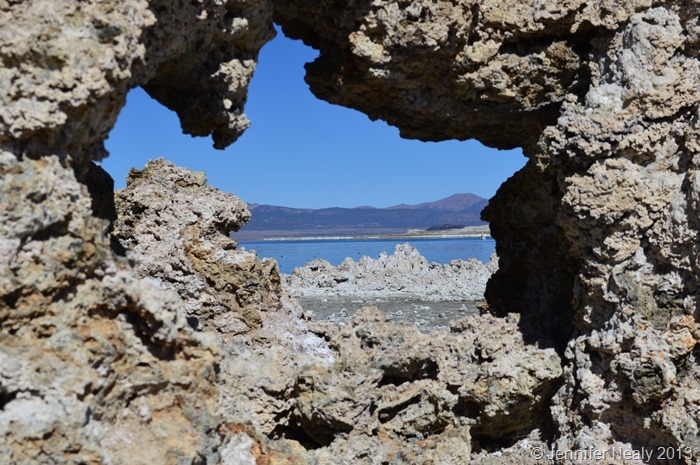 The tufa became exposed when the city of Los Angeles began diverting some of the lake’s tributaries in 1941, and the level of the lake dropped dramatically. It’s like something out of this world. 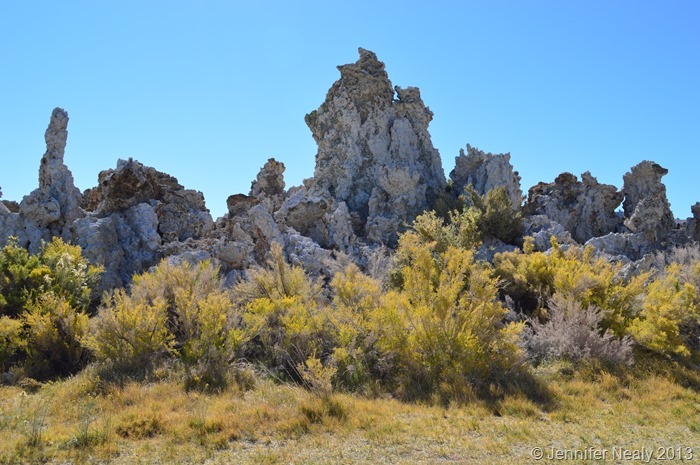 There are a couple different places where you can see the tufa. 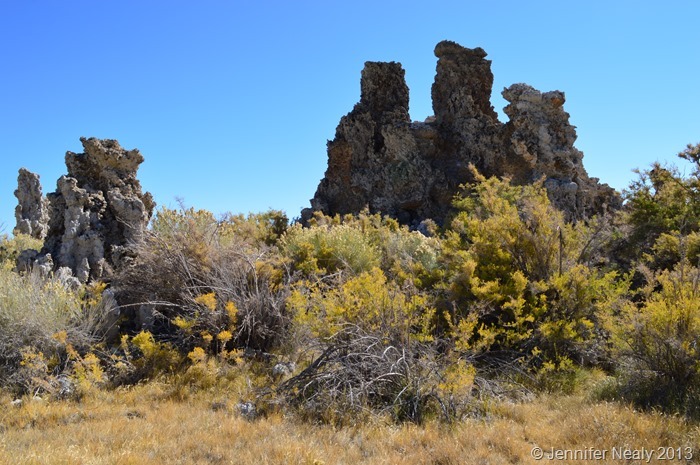 The pictures above were at the main visitor center, and there is also a trail a little further south that takes you to the Tufa Towers. We stayed in this area for a few days, and did some exploring down other forest service roads looking for future boondocking spots. One of the roads we drove down looked like there had a been a fire sometime recently, and it left an eerie landscape behind. The Eastern Sierras are definitely living up to their reputation! Such a beautiful area! Love the reflections on the lake w/tufa. That’s a picture perfect boondocking spot! Very unique looking…. This is an area we’re hoping to explore next year. 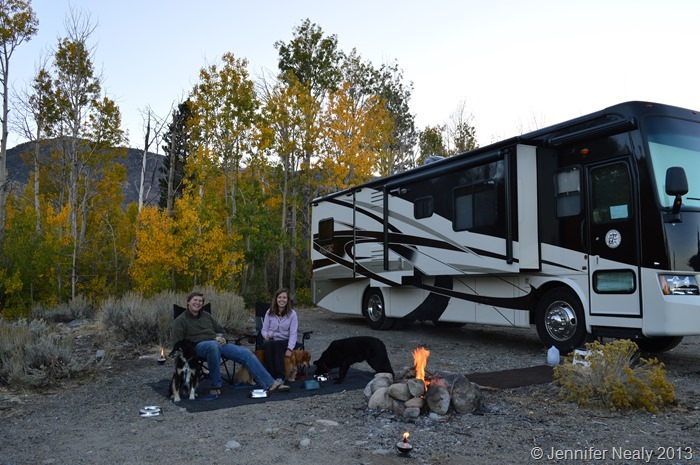 Looks like you found an awesome boondocking spot! We’ll be in the Alabama Hills for at least another week. Stop and say hi if you see our Lazy Daze! 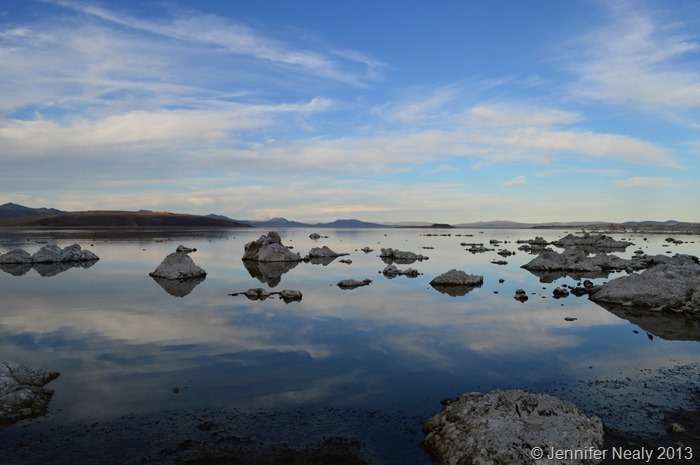 Gorgeous photos of Mono Lake. So glad we finally got to meet in person the other night! 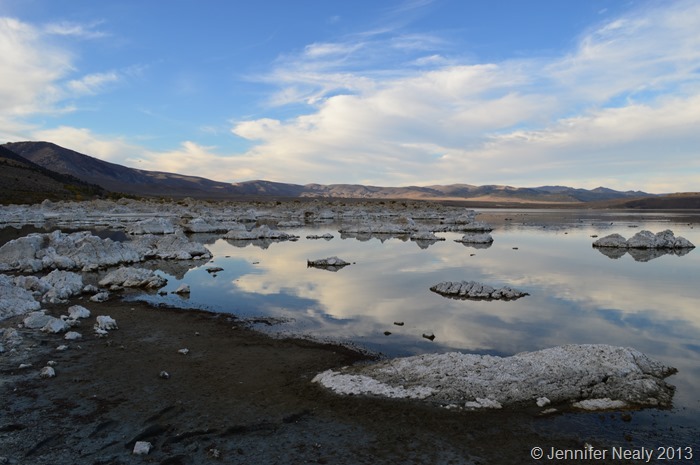 We’re heading to Bodie and Mono Lake today….thanks for the insight guys. Hey Jen — we are on the road again headed toward the Coast. Just wrapped up a great hosting gig — one of the best we’ve had! looked at your Cali 395 post – very useful. Any other tidbits to share? ps loving the camera! taking lots of pics for folks and having fun with it. trust this finds you well.